The Ballast Trust to the rescue. Meticulously researched and referenced books, like Martin Black’s G.L. Watson – The Art and Science of Yacht Design, depend on the availability of accessible archived records. This in turn depends on a culture of creating and preserving them for posterity. Up to a quarter of a century ago that required only the will to do it – and space. But what now in this digital age? How will the researchers of the near and distant future fare in a world where even the web site could be old hat, and everything is “archived” in the ether? According to Jim Champ of the International [Sailing] Canoe Class, the problem is already upon us. 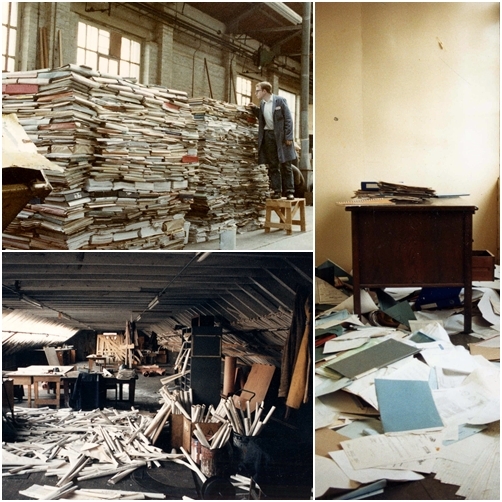 ‘The trouble with digital information is that when it’s gone it’s gone. If it’s not on the Wayback Machine (http://archive.org/web) it will be gone forever, and you won’t get it back because there won’t be any old bits of paper in dusty corners. We trust that Jim and the editors at Sailing Scuttlebutt will excuse us for reproducing this extract whole, in the interests of spreading the word. All power to his research. Appendix D of Martin Black’s masterwork, G.L. 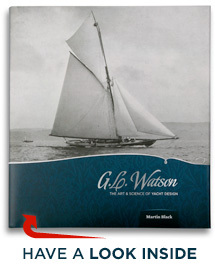 Watson – The Art and Science of Yacht Design, is an examination, by championship divisions, of yacht racing records during G.L. Watson’s working life. Needless to say they make good reading about our hero! This beautiful book – the perfect gift – can be purchased online here. And finally, a little personal oar-in. 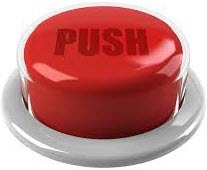 If designers of sailing event web sites could place a big, red “push for results” button – similar to this one used by Sailing Scuttlebutt – right at the start, we might be less grumpy sometimes. It’s hard enough nowadays to understand the scoring system used in Olympic style events, but rather more difficult if one can’t find the results in the first place. This entry was posted in G.L. Watson, G.L. Watson & Co. Ltd., gift, Glasgow, Martin Black, object of desire, River Clyde, shipyards and tagged Ballast Trust, digital archives, International Canoe Class, Jim Champ, Sailing Scuttlebutt, University of Glasgow. Bookmark the permalink.